I’ve been a huge fan of Shalane Flanagan for years. I admire her drive, her honestly and how passionately she loves the sport. I spotted her a few years ago at a BAC run where she was helping coach and couldn’t resist going a little fan girl, after all it was SHALANE FLANAGAN. I know I told her how much I admired her, appreciated her helping with the kids and apologized for my hair smelling like soup. When I get nervous I talk incessantly, usually about the ridiculous and that night was no exception. She was gracious and told me she didn’t notice, but the brief encounter with my running idol has me still shaking my head. I couldn’t ask about Boston, training with the Oregon Project, her Olympic bronze medal or growing up with running parents? I went with soup. I’m still shaking my head, but the whole ordeal only made me admire her more. Instead of making me feel like the crazy woman I was, she was incredibly warm and real. 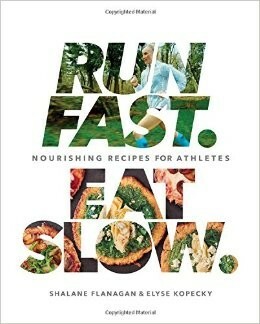 It’s no surprise that I follow Shalane Flanagan on Instagram and have been anticipating her cookbook, RUN FAST EAT SLOW:Nourishing Recipes for Athletes for what feels like years. It’s finally out and I can say that I can see why I feel it took forever, this is more than just another cookbook.While it’s definitely geared towards the running community, it encompasses so much more. The recipes are easy, there aren’t any crazy ingredients and the pictures are pretty enough to use as a coffee table book. This cookbook works for runners or any athlete looking for solid, nutritional recipes with real ingredients. Even better, this is a great option for busy families looking for wholesome foods without a lot of fuss. This is not a ‘diet’ book, but a compilation of recipes to fuel the body for optimal performance. It includes saturated and unsaturated fats from whole foods and natural ingredients to help with energy, healthy brain function, cardiovascular strength, hormone balance, lean muscle tissue and combat inflammation. While each of the recipes were created and tested by Shalane, the recipes were actually developed by Elyse Kopecky. 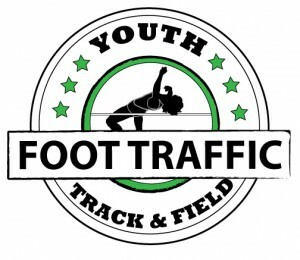 A chef and nutrition coach, Kopecky ran track with Shalane at UNC Chapel Hill. Besides the healthy aspect, RUN FAST EAT SLOW is just pretty to look through, with 100 photos, each one pretty much making my mouth water. Being from Portland, I love the northwest ties with this book. Not only do the pictures show off our gorgeous state, there are recipes like Oregon Summer Salad with Grilled Salmon, Baked Mount Hood Apples and Oregon Berry Crumble that are inspired by our local bounty. There is even discussion of the Portland Farmer’s Market, I love this book. The pictures are pretty, but it’s even better that each of the recipes includes a very thorough description, sometimes a history of its creation or the inspiration behind it and always a short note with purpose. Some recipes are for pre-workout fuel, others are for energy on the run and plenty for balanced energy. Each recipe gives you a quick, easy to read run down. And if the recipes aren’t enough, there’s a chapter on runner’s remedies. Anemia, burnout, colds and stress fractures are a few of the conditions addressed with helpful suggestions. Along with the suggestions, there’s a list of recipes recommended to naturally aide the body to get healthy and stay healthy. I’ve already tested a handful of recipes throughout the book, including Marathon Lasagna, Green Apple-Fennel Salad with Hazelnuts, Superhero Muffins and Double Chocolate Teff Cookies. My friends might be getting tired of hearing about this cookbook, but my family isn’t complaining. That’s the true test and they are my toughest critics. This book helps you serve real food that’s nutritious and tasty and you don’t have to drive all over for exotic ingredients or spend all day in the kitchen cooking. I’ve just scratched the surface with the recipes and can’t wait to try more. 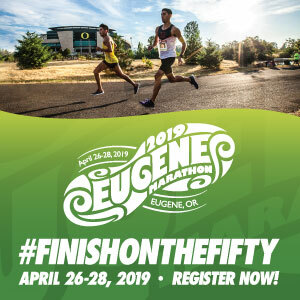 I also can’t wait to attend the book reading with Shalane Flanagan and Elyse Kopecky at Powell’s Books in Beaverton on Tuesday, September 6th at 7PM. I’m trying to keep my cookbook pristine, at least until she signs it, which is not an easy thing with me in the kitchen. This time when I meet my running idol I’m going to do my very best to refrain from telling her that my hair smells like soup, even if it’s a recipe from my new favorite cookbook.